The Pandora hotel offers amazing value for money. The accommodation is spacious, classic and above all comfortable with most rooms having fabulous views over the surprisingly large and beautiful gardens or further out to sea. 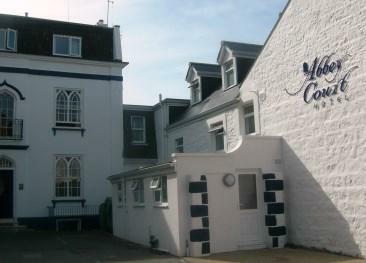 The hotel is located at the top of St. Peter Port so be aware of the steep hill leading up to the entrance. The Pandora features ample on-site parking and in-house amenities including a convivial bar, restaurant and pleasant guest lounges. There is a choice of single, double, twin and family rooms. Most offer garden or valley views, some have sea views. All rooms are en-suite and equipped with television, direct-dial telephone, hair dryer, and tea & coffee facilities. The restaurant opens daily for continental evening meals prepared with fresh local produce. Opens all day for snack type lunches and easy suppers. 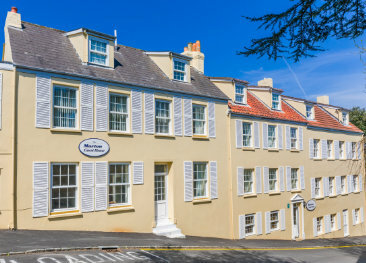 St. Peter Port’s centre lies 10 minutes’ walk from The Pandora Hotel, ideal for exploring the many sites of interest, from Castle Cornet in the harbour to Market Square amongst the cobbled streets. Closer to the hotel is Hauteville House, Victor Hugo’s remarkable home for 15 years. A great hotel with very good service. Clean and comfortable. I couldn't fault it. 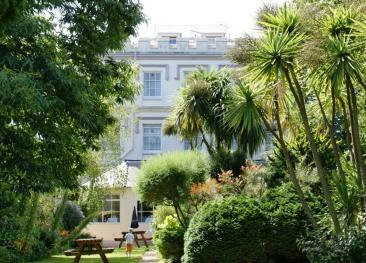 Very good staff,the room was clean and maid service every day.Good food and lovely garden. As said previously, the Pandora was good in all respects. The taxi company performing the transfers were a bit laid back. The taxi taking us to the inter island ferry was a bit if a wreck and the seat belts were not anchored in the passenger area. This hotel is quite pleasant but it used to be better. The food in the evening is quite variable - do they have a temp chef at the weekends since it was noticeably less well cooked from Friday to Sunday? wine was also well priced. The Grange Lodge Hotel has been owned and operated by the Mansell Family since 1924 and offers a home away from home.